Here is a tutorial to use Android apps on your Laptops, Desktop. We all have our smartphones loaded with a number of Android apps nowadays. But have you ever thought of using Android apps on your PC or laptop? Yes, there is a way to do this. You can run almost all Android apps on your PC whether it is a gaming app or chatting app using Android Emulators. Most of all face the problem of sharing media and files from PC to Android or vice versa while using Android and PC as different devices. Sometimes sharing of data also becomes a creepy task which can be avoided using these Android emulators. Another advantage of using Android apps on PC is its large screen and high-quality picture. Now it seems like android emulators are easy to use and here you will get all the details of best android emulators. Almost all of these emulators have same or more features.Therefore, it is up to your choice which one is best for your system. Android Emulators are used for simulating your android devices on your computer. Consequently, all Android apps that can be run using smartphones can also be run on Windows PCs. There are some most popular Android Emulators for Windows OS. This is freely available Android Emulator software. Using Bluestacks you can run Android apps on Windows Operating System. 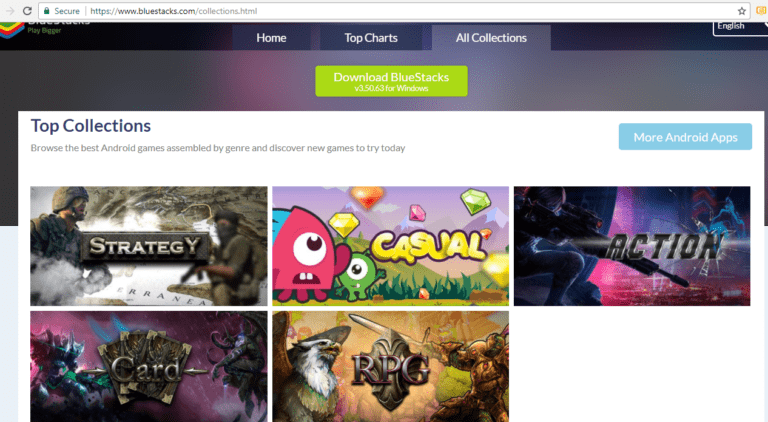 Bluestacks gives you the same experience as much you get on your google play store on the Android device. You can use every type of apps on Bluestacks like- Gaming apps- Strategy, Casual, Action, Card, Role Playing A racing car, bike apps. Social Messaging apps like Whatsapp, Viber, Telegram, Skype, Wechat. Operating System- Windows XP SP3(32-bit only)/Vista SP2/7/8/8/1/10. You should be logged in from an Administrator account on your system. Disk Space- 4GB or more(for storing android apps and related data). Device Drivers- Graphics Drivers should be updated. Internet Connectivity- For accessing account, apps related content. Graphics- Intel HD 5200 or higher. First of all Download the latest version of Bluestacks from https://www.bluestacks.com/ and open it in the folder. You can change installation location, default location being Windows C:// drive. Enable 'App Store Access and Application Communications'. finally Click ‘install' and ‘Finish'. Get 1.5 million Android games for Free. Compatible with PC,Mac,Android,HTML5 and flash. Takes a lot of RAM and CPU usage to run it effectively. Slows down the system and reduces system performance. 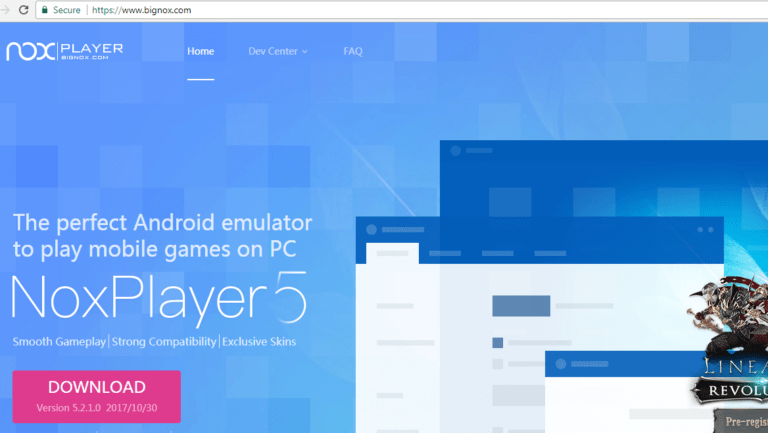 Nox App Player is a new android emulator widely used for launching android apps on PC. It is a cross-platform app emulator used on Windows/Mac. It gives you best quality, reliability and better performance because it uses the most advanced engine. Note: You need existing or new Google account to use all features of Nox App Player. Operating System- Windows XP SP3/Vista/7/8/8.1/10. Processor- Dual Core Processor(Intel or AMD). Storage- 2.5 GB(1GB for installation location,1.5GB hard drive space). Media and Resolution- No Special Requirements. First of all Download installer package from official website https://noxemulator.com/. Launch the downloaded installer and select "I have read and accepted Nox License Agreement". Click ‘Install' button and to customize installation configuration click ‘Custom' button. Finally, your Nox App Player screen will appear. Fast and smooth experience as compared to other emulators. Good choice for mobile gaming lovers. Free of cost and available on any Windows OS. It supports Google play store apps as well as third-party apps and provides full compatibility with games and apps. Also provides Keyboard mapping for touch input. It also comes with an inbuilt video and macro recorder. Keep graphics card drivers updated as it may give you slow and graphics glitches sometimes. AndyRoid or Andy OS is the popular Android emulator for Windows 7/8/8.1/10 and emulates the complete Android experience on your desktop. Note: It requires VirtualBox to be installed on your system. Video- OpenGL ES 2.0 . You can use your phone as a remote controller while playing games. Another advantage is that you can use Snapchat and access WhatsApp messages directly on Desktop screen. Direct installation of apps using desktop browser- ARM Support. Doesn't require any dedicated graphics cards as it is based on VirtualBox and gives you the same Android experience. In addition to above mentioned Android Emulators, there are lots of other advanced and good alternatives also like GenyMotion, KO player, DuOS, Remix OS, Windroy, Droid4x. 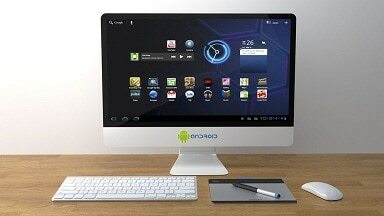 You can choose any android emulator depending on your PC's hardware specifications and your needs. Most noteworthy, many of these android emulators are freely available to download and you get the same quality and performance as much as on android devices. Android app developers use emulators to test their applications across various parameters. They can test, debug their application without checking it into the real environment.